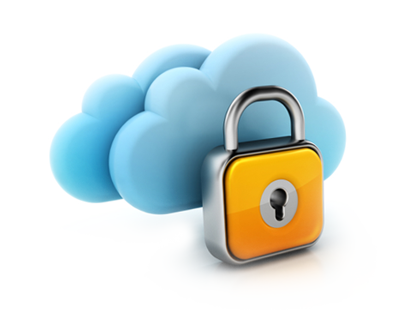 Confusing Promises in Private Cloud Services leads to misunderstandings to the new users. These promises are made to catch new clients but the impact to the user affects. Confusing Promises in Private Cloud Services ultimately can destroy a company’s way of progress. Everything started with a misnomer – some large software companies some years ago promised to deliver an infrastructure with highly flexible capabilities. In order to describe the technology, they gave the infrastructure simply an abnormal poetic terminology – cloud. So “private cloud ” forced to become socially acceptable. The dependence on the public cloud, still creates a lot of confusion. Because it suggests that the private cloud helps companies to save part of their infrastructure PRIVATELY. So the confusing promises in Private Cloud Services starts with the nomenclature. The private cloud is much more sophisticated form of virtualization which is promoted as a kind of cloud. Because their basic idea lies in the fact to bundle a bunch of servers and resources such as memory and networks in order to obtain an uniform platform. With the private cloud, as claimed; often two categories of benefits are connected : improving the service levels and lowering the cost. But much more of the benefits of responsiveness are highlighted abnormally to a higher level. The private cloud just does the quick allocation and release of resources and workloads, which enables a dynamic approach to the management. There is no absolute zero billing in any Private Cloud Service. Even the Zero billing is absent in Public cloud. The software architecture of Private Cloud is fully different from a Private Cloud, it is much more complex and the technical management is quite costly. Whether virtual Private Cloud can be an alternative for a company, that is definitely a different question. But definitely we do lack the data as well as voice from the small to medium companies who possibly wrongly shifted to Private Cloud. For web hosting, we can easily get an idea from various forums; but there is practically no such neutral dedicated forum which has a good number of neutral feedbacks. This Article Has Been Shared 3099 Times! Cite this article as: Abhishek Ghosh, "Confusing Promises in Private Cloud Services," in The Customize Windows, March 28, 2013, April 18, 2019, https://thecustomizewindows.com/2013/03/confusing-promises-in-private-cloud-services/.